This past summer, Klemens Okkels from 3i attended the program Economics for Leaders at the University of California, Berkeley. The program was one of the thirteen of its kind conducted by the Foundation for Teaching Economics throughout the United States. 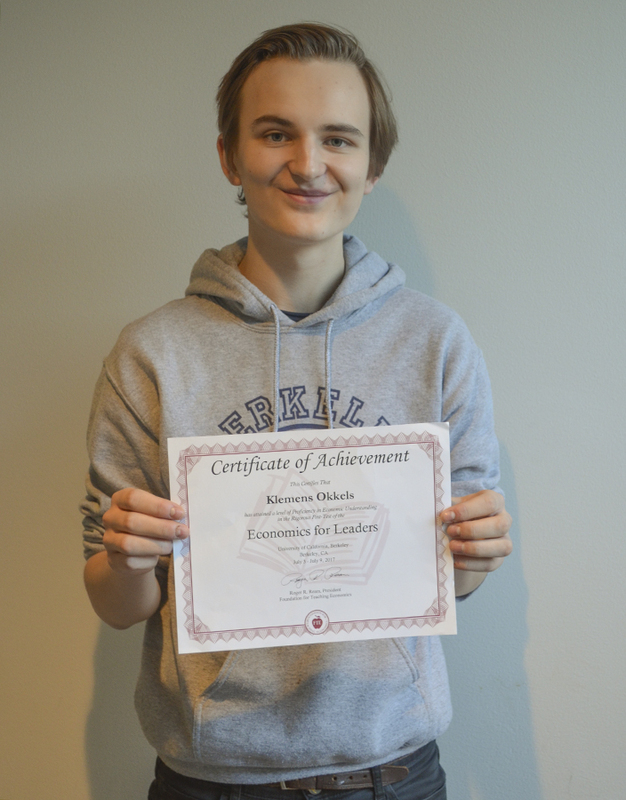 Big congratulations to Klemens who placed among top performers and was awarded a Certificate of Achievement.